Enjoy our highly concentrated, highly moisturizing wrinkle care emulsion. Active ingredients such as Adenosine, Niacinamide are highly concentrated and form a special molecular network. 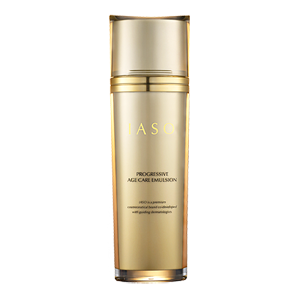 With our unique liposome technology, this emulsion removes signs of aging, and deals with dryness, dullness and wrinkles. SGCE (Silky Gel Complex Emulsion) technology makes the emulsion feel as light as air, with a luxurious texture that leaves your skin smooth and bright. Apply after serum. Pump the desired amount into your palm and evenly apply to face and neck.